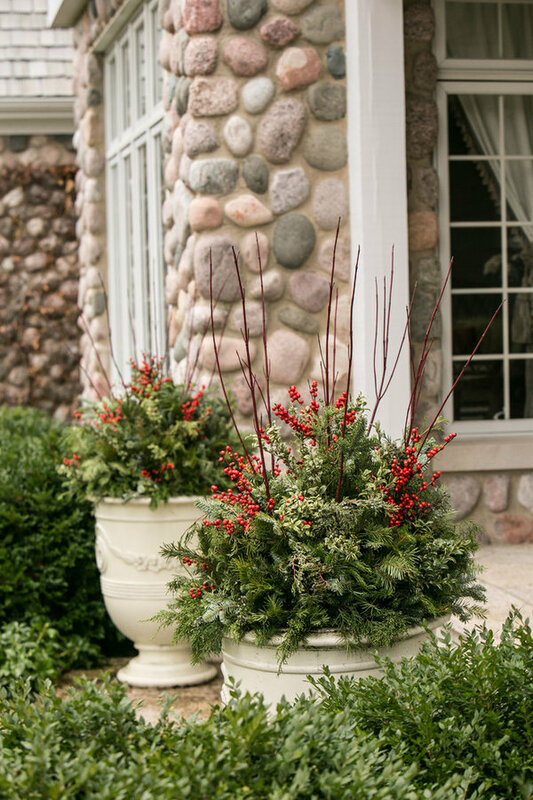 Winter décor is the perfect way to settle into the season with fragrant greens and colorful berries. 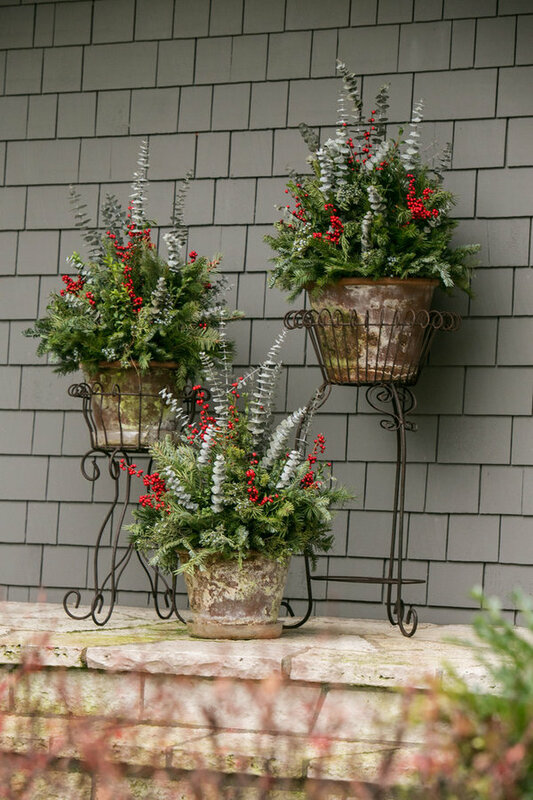 Winter arrangements of red twig dogwood, winterberry, douglas fir, juniper, noble fir, oregonia, pepper berry, and port orford cedar. 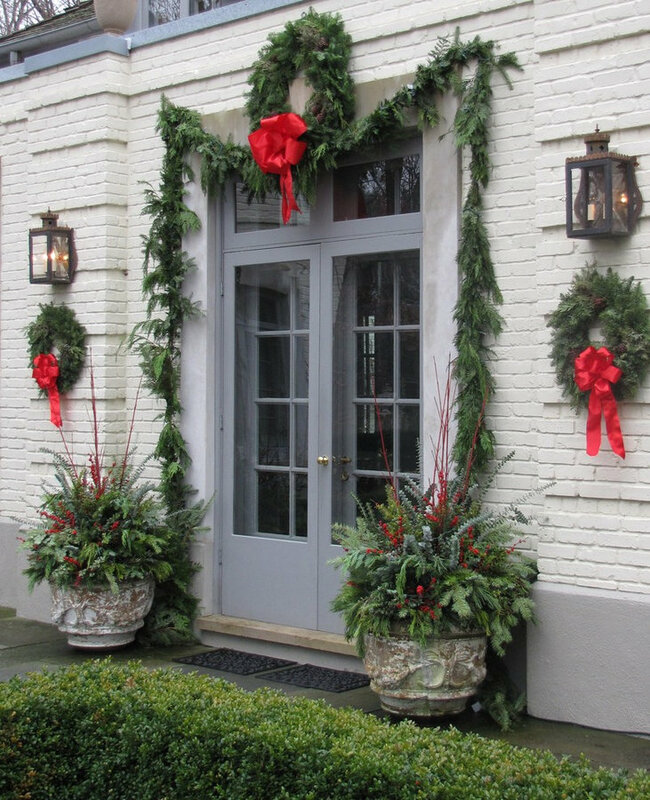 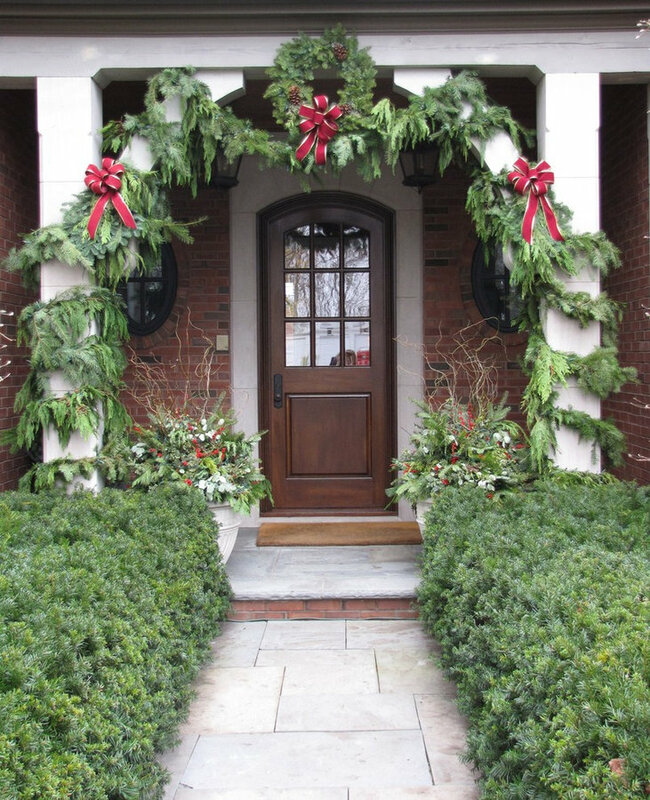 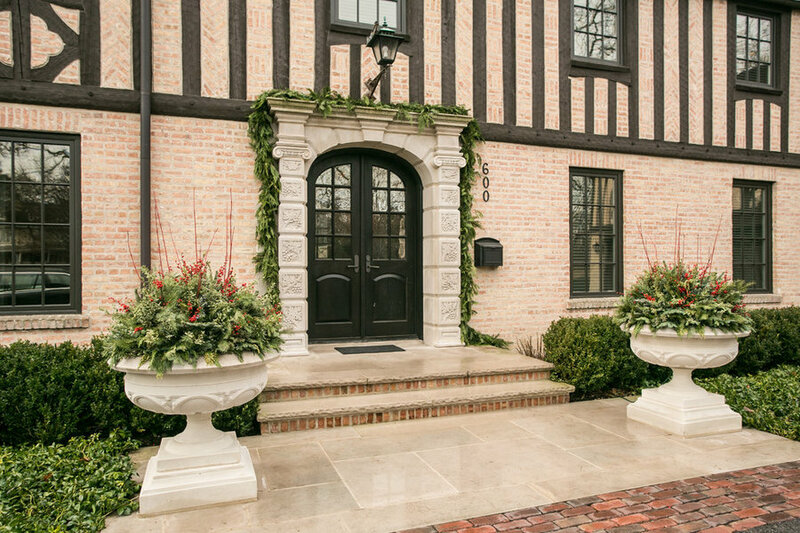 Evergreen garland and arrangements highlighting the front entry. 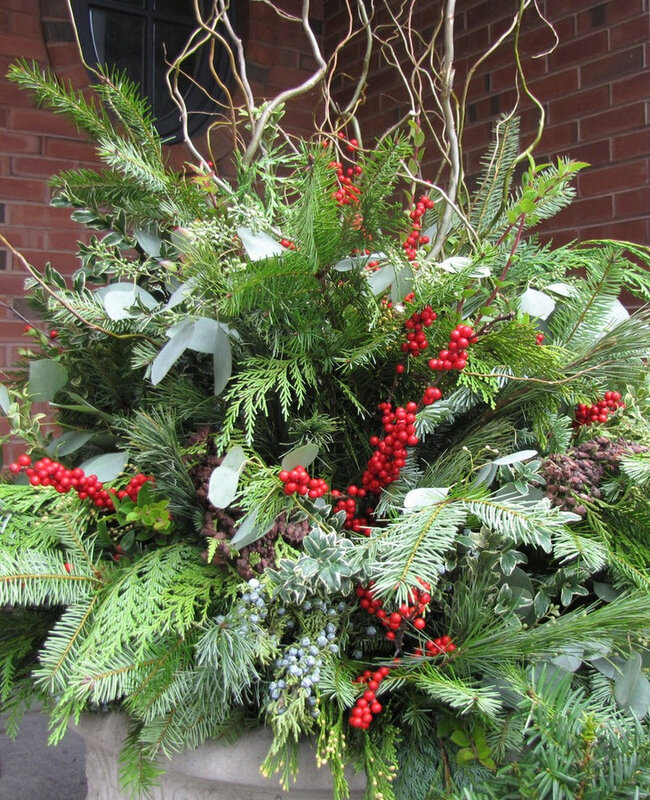 Winter arrangement of yellow twig dogwood, winterberry, oregonia, fir, and white pine. 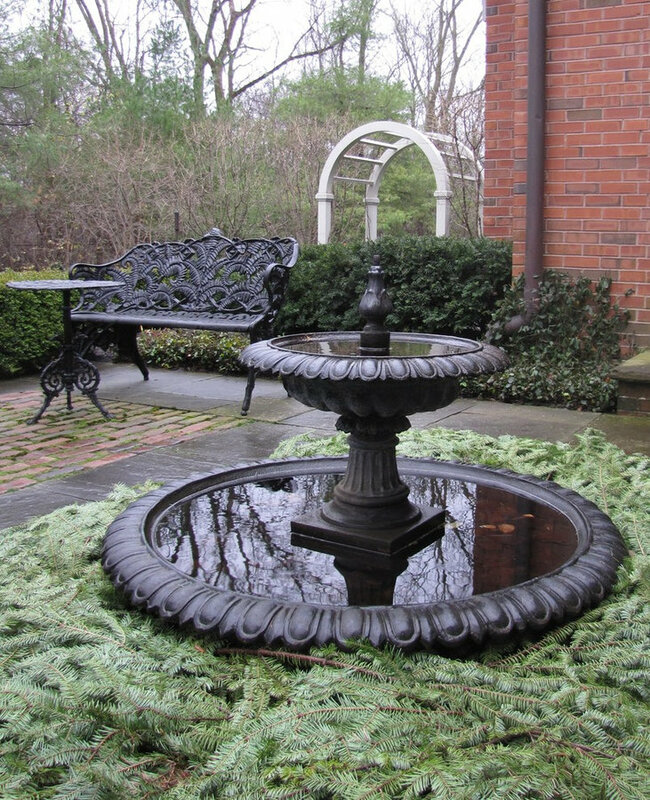 Evergreen boughs cover the annual area around the fountain. 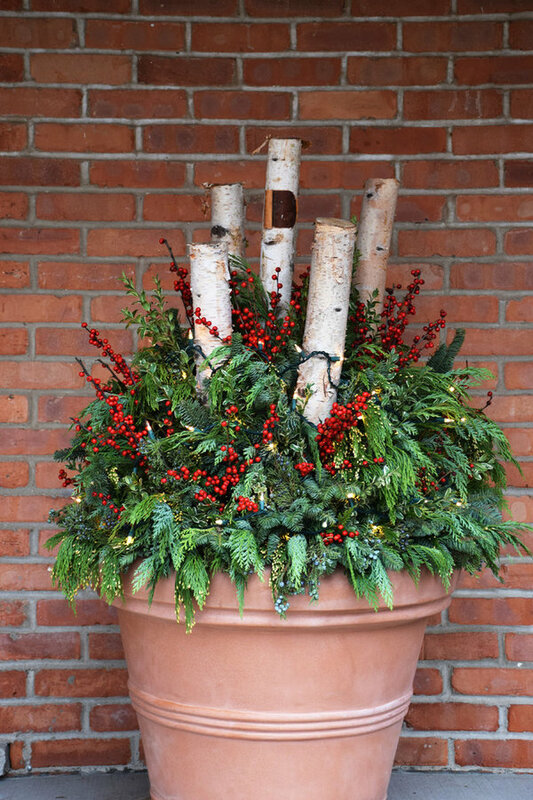 Winter arrangement of birch logs, winterberry, douglas fir, juniper, noble fir, and more. 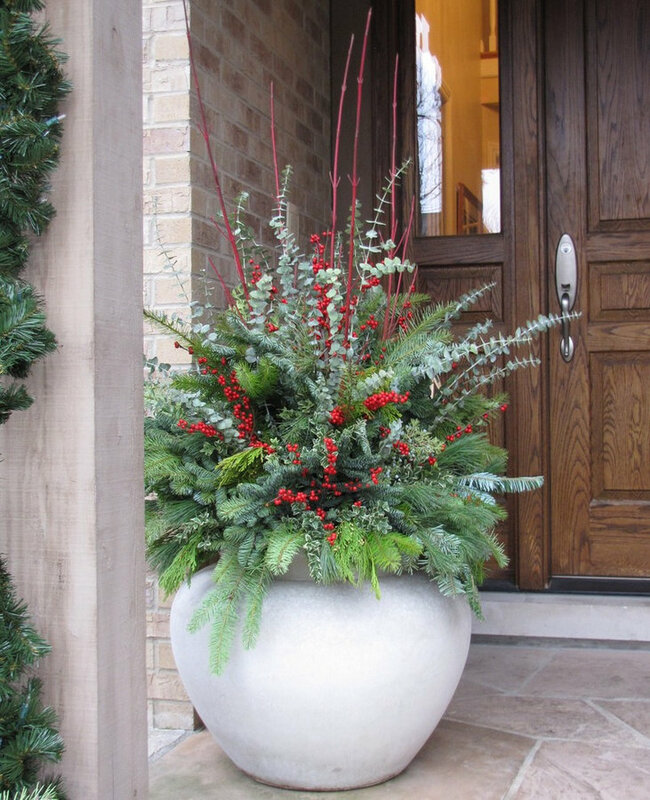 Winter arrangements of red twig dogwood, winterberry, eucalyptus, douglas fir, juniper, noble fir, oregonia, and port orford cedar. 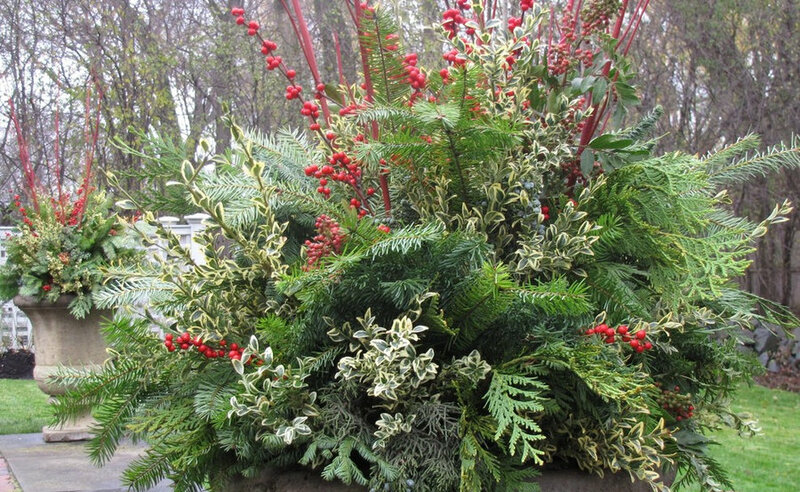 Winter arrangements of curly willow, winterberry, douglas fir, juniper, noble fir, oregonia, and port orford cedar. 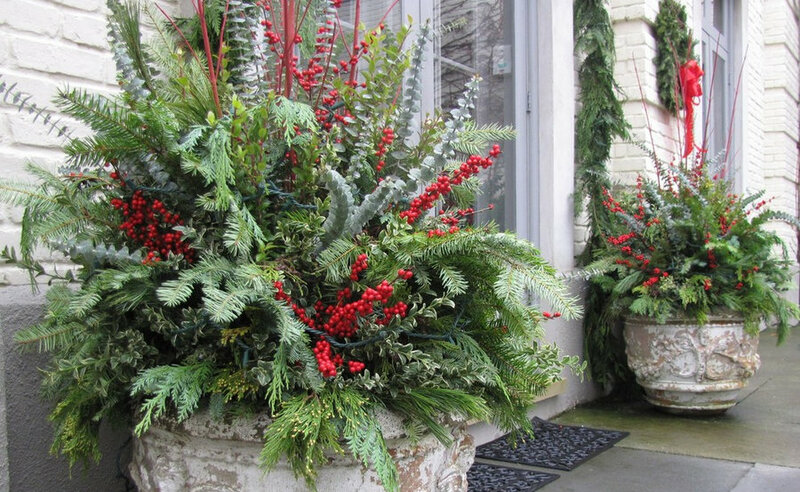 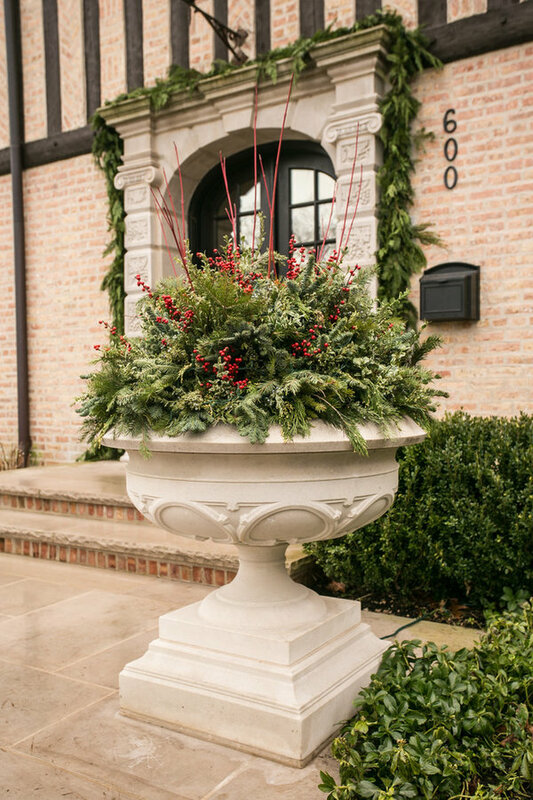 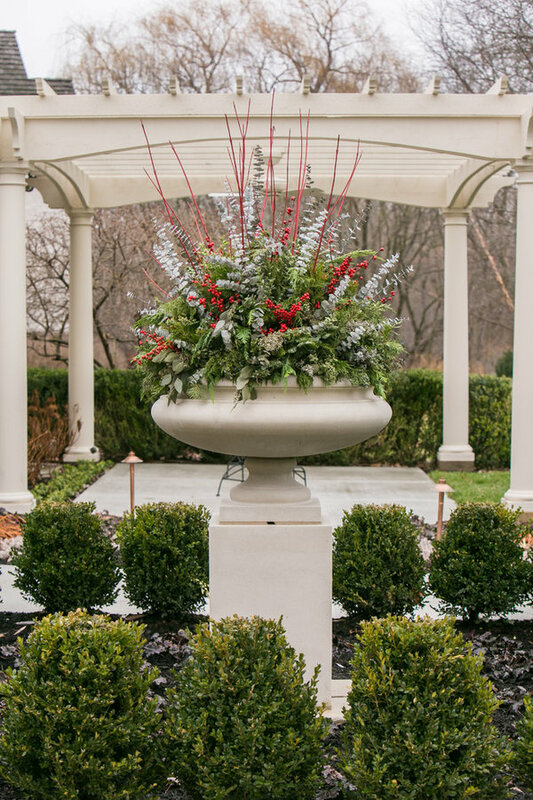 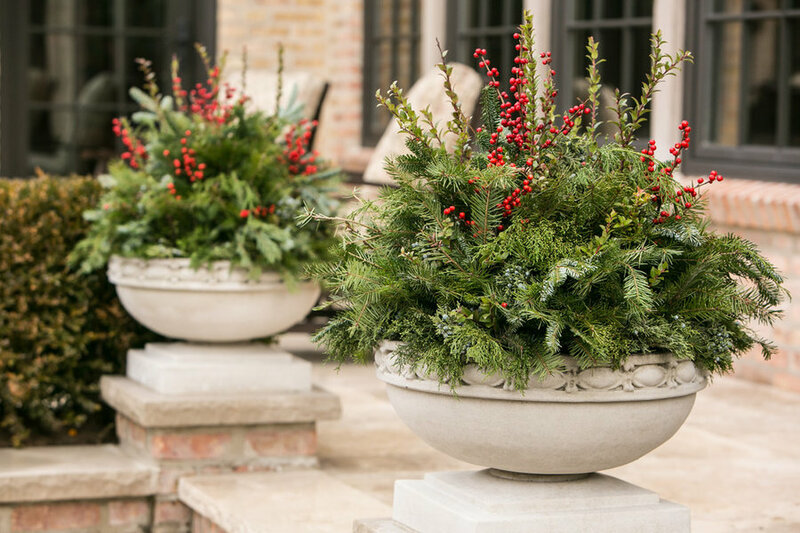 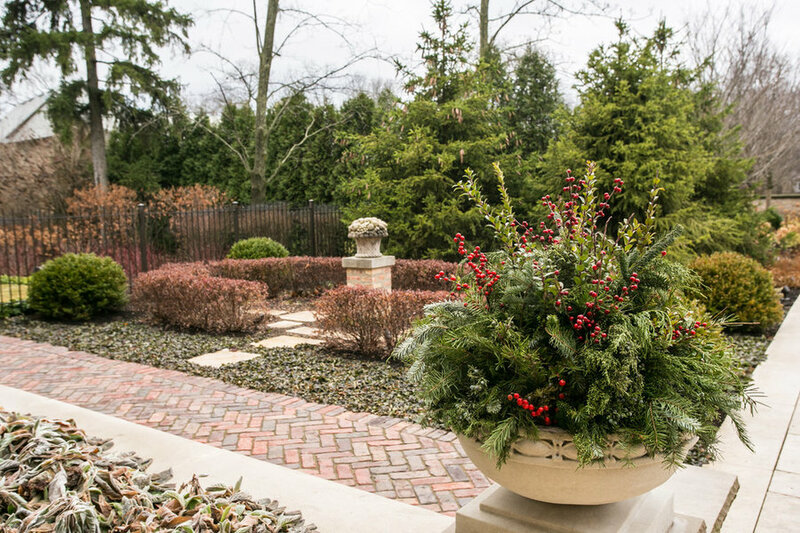 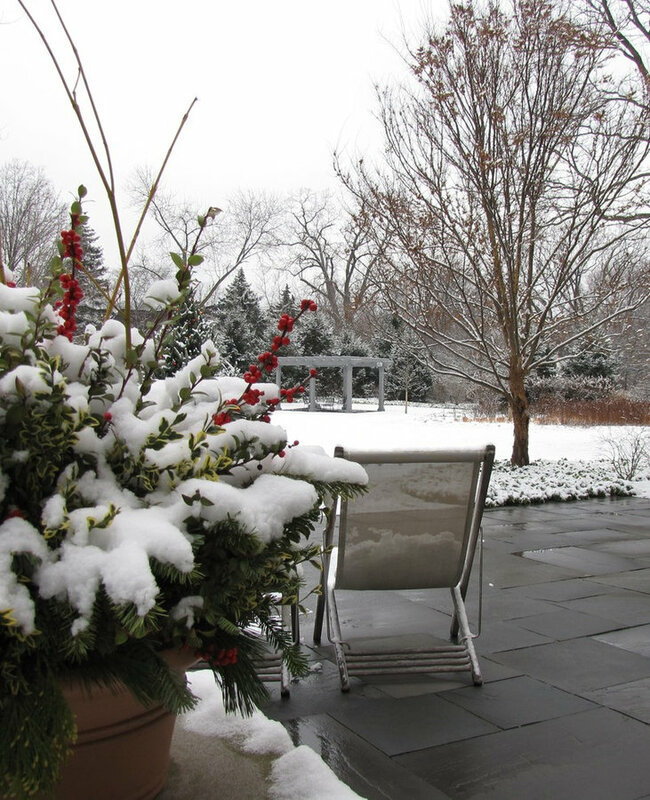 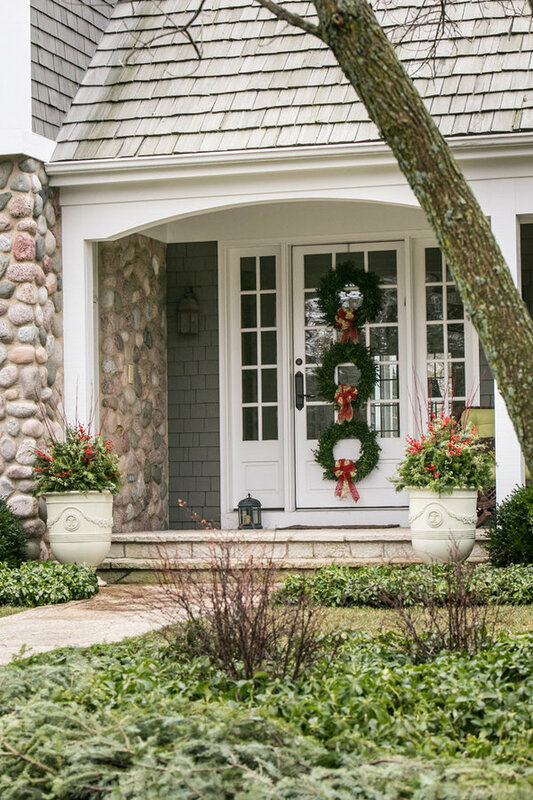 Winter display of garland, wreaths, and arrangements in planters.